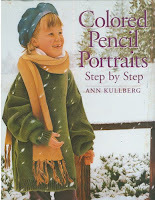 Many people who start working in coloured pencils tend to come across Ann Kullberg and her work pretty quickly - I know I did. Ann Kullberg is a self-taught artist with a degree in Education who has had a long-standing love affair with coloured pencils. Since 1987 when she first picked up a coloured pencil she has become an accomplished and award winning portrait artist as well as an author, a tutor, the publisher of a monthly e-magazine and a juror of international art exhibitions. She's also a member of the Colored Pencil Society of America and won an award for excellence for Broken Rules. 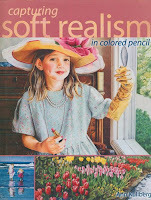 Ann has written two books Colored Pencil Portraits (1999) and Capturing Soft Realism in Colored Pencil (2002) for North Light Books and has a third due to be published next month. 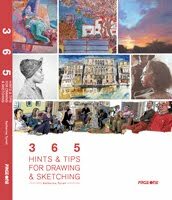 (You can read a review of Colored Pencil Secrets for Success: How to Critique and Improve Your Paintings on Making a Mark reviews...... - see Book Review: Colored Pencil Secrets for Success). 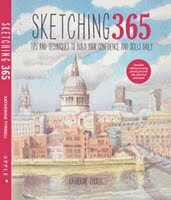 Her work has also been featured in a number of other books about coloured pencils. As an educator, Ann also delivers workshops and has developed a website which provides a range of learning materials for people wanting to learn more about coloured pencils including online support, instruction CDs and videos and kits. I've had cause to correspond with Ann a few times in the past few years since my first email which asked a question and got a very prompt and friendly response. She's always struck me as somebody who gets a really nice balance between working hard to deliver results and to help people learn at the same time as being very relaxed and great fun so that everybody has a great time. She certainly has a huge fan base. 1. 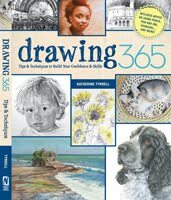 How long have you been a practising professional artist and what helped you make make that leap to doing it full time? 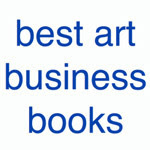 I guess I became a "professional" artist around 23 years ago, when my work was first accepted by a fine art gallery with a fine reputation in the beautiful and artsy Oregon coast community of Cannon Beach. And although I have been making my living at art for over 20 years now, I can't honestly say that I have ever really and truly been a 'full time artist'! 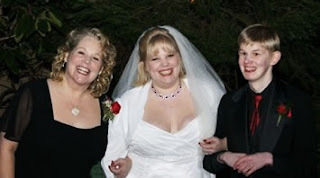 Let me back up for a second in order to explain....I did decide to try to make a living at art 22 years ago when I found myself divorced with 2 children under the age of six, and one with autism so severe that I dreaded placing him in day care. A stay-at-home artist seemed my only real choice at the time. 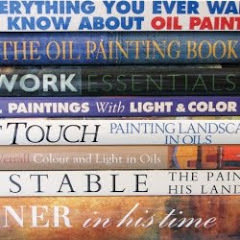 Although I did reasonably well selling my art through galleries at first and then commissions later, I always had to supplement my income some how or other, which is why I said I can't say it's ever truly been 'full time'! At first I supplemented by cleaning houses while the kids were in school. Later I added to my art sales income by teaching art. 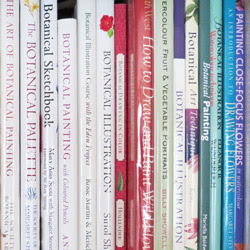 Eleven years into my career, and with the publication of my first art instruction book, my supplemental income came from more workshops, more classes, book royalties, my online magazine, and all the other online stuff I do now. 2. Some artists like brushes and others like pencils. Why are you a pencil artist? Even when I fooled around with watercolor back in high school, I used teeny, tiny brushes and basically "drew" with them, meticulously. We were visiting my then husband's great aunt, and I saw this small drawing on her wall, but couldn't figure out what the medium was. Intrigued, I asked and learned it was colored pencil, but of a professional quality rather than the horrid school grade colored pencils we'd all used in elementary school. Within a couple of weeks of that visit, I'd found Bet Borgeson's book, The Colored Pencil, at our local library, and had bought my first set of 24 Prismacolor pencils. The minute I tried the pencils, I fell in love and knew I was "home". 4. 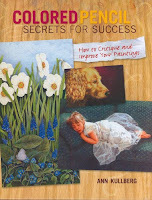 What was the impetus for your new book Colored Pencil Secrets for Success: How to Critique and Improve Your Paintings and why did you choose the approach you've used this time? I critique one piece of art each month in my online colored pencil magazine, From My Perspective, and have done so each month for the past 9 years. From feedback I've received over the years, it seems it is one of the more popular sections of my magazine, and I've heard folks say how much they've learned from them, and how often the critique of the month happens to be pertinent to what they are working on at the moment. So...I decided it might be a good idea for a book, since I am all about instruction and what helps folks improve their work. My editors agreed, so that's the story. 5. 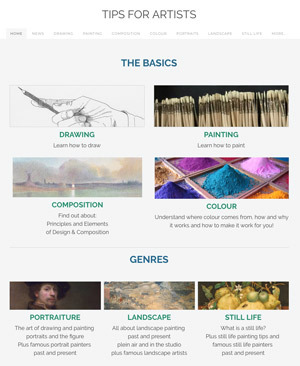 As an art tutor specialising in coloured pencils, besides writing art instruction books you also provide a range of other options for learning more about coloured pencils - from kits, lessons on CDs, video lessons and workshops to an online art magazine. 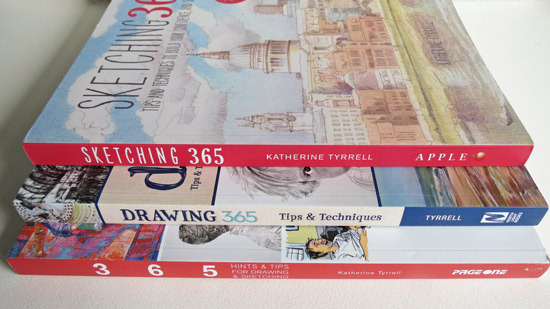 Why do you provides such a range of approaches for learning and what do you see as the pros and cons of each of these options compared to art instruction books? Every teaching tool that I've developed has actually come straight from a need some student presented me with, so I guess they are all different because folks are different and we all learn in different ways. A book is cheap, stays with you, can be read over and over, and I think you should start with my first book, if you're interested in colored pencil portraits. But a book is static and one-way. The kits are more interactive and can teach you so much about technique, especially if you're the type who learns by doing, instead of just by reading. The magazine and video lessons provide something for those who love their computers and feel very comfortable gathering information online, or on their computers. 6. You've just started a new web directory Colored Pencils Central. What's the story behind this development? 7. A number of coloured pencil artists progress on from coloured pencils to using pastel pencils and then soft pastels proper. Has that ever been a temptation for you? Not at all. I don't even know how to explain it exactly....I don't really think of myself as an artist at all, to tell you the truth. I am just someone fascinated with what can be done with colored pencils. That's pretty much it. I was fascinated with the first little pale drawing I saw done in cp, and I imagine I'll die fascinated by what all folks are doing with this humble medium. I. love. colored. pencils. period. 8. Finally, how do you see your career as an artist (as opposed to a tutor) developing from here? Oh boy...time for another confession. I've never planned anything in my career in any way, so you can guess that I haven't any plans now, either. I do have dozens of gorgeous pictures of my ballroom dance instructors, and I would like to see what I can do with those, but I haven't tried anything yet. I'm letting them simmer in my mind/eye/heart/soul/simmering place. Other than that, I don't know. It's hard to make art when you're so busy trying to make a living at art.... and although that's sounds funny, it's really not. Ironic, yes...but true, I promise! I'd like to thank Ann for her time in giving me this interview abd for providing me with a delightful photo of her family. Do please feel free to leave comments (below) on Ann's interview or messages for Ann. UPDATE: I've taken the opportunity presented by the recent interviews with Alyona and Ann, plus book reviews and new sites to update my own information site - Coloured Pencils - Resources for Artists. 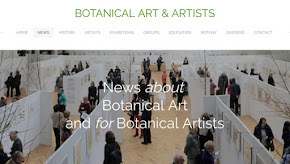 I'd noticed the same difficulty as noted by Ann relating to finding the websites of coloured pencil artists and had planned to do something about it - but now I'm going to be linking to Ann's new Directory instead! Even though cps are not my medium, I really enjoyed this interview! I've seen Ann's books and find her very accomplished. Thank you for another great interview. I found her definition of 'full time artist' and her thoughts on why she is not one, interesting. I'm enjoyong your interviews Katherine, I like taking a look into the lives of other artists.